1. What’s your favorite organizational tool or item to help you keep your stories in chronological order? Do you prefer to write series or Stand alones? I don’t actually. In the case of Herodotus – the Gnome of Sofia, as the story progresses it goes backwards and forwards in time anyway, in order to underline or explain why certain things occur. The story itself covers three decades and goes from a promising start at Oxford University – by British Ambassador Sir Arthur Cumberpot – to the disastrous end of his diplomatic career in Sofia, Bulgaria. In the case of Judas Goat – The Kennet Narrow Boat Mystery, it takes place over a period of about two months, so it is hard not to keep it in chronological or even logical order! But, it has been a problem in the past, until I realised that unless you were dealing with a very pedantic reader, most will not notice the odd glitch nor care as long as the story bounces along. 2. Do you play the What if game with a basic idea? Do you come up with your story idea first or do you come up with characters/who the main ones are before you can come up with the plot? There will always be throw away characters in books generally, and in murder mysteries there can always be henchmen. The secret is to concentrate on the main characters and give your protagonist a strong presence and good dialog. But, it is often easier for me to see a story like a TV film or even a stage play, although the latter has far more rules implied and is the best analogy, as far as I am concerned. No actor in his right mind walks across a stage for no reason at all – they are far too lazy I believe – unless they are smoking and need to use an ashtray! The text is about action, and dialog is about justification and cross examination and why we know that people love or hate us. 3. How do you decide on locations for each story and when you pick a place you never been for the story how do you research the place? I have lived in the Balkans for many years and first visited South Eastern Europe in the 80′s at a time when Communism was the norm. So I am not researching as much as one might imagine. As the Chief Editor and owner of the first English Language magazine – The Sofia Western News (SWN) – from 1995 to 2001, I was totally aware of the political humbug and well aware of the realities of living in post Communist countries. That is why I set my stories either in passing or in part in South Eastern Europe. The rest is about the north of Europe which is something I have always known about and loved. Europe is 27 nations in the EU, and I have been to all of them! 4.How do you pick out names that you feel fit your characters and do you try to tie most if not all your characters from different books together? You may have noticed that my humorous stories attract slightly humorous names. England is full of ambiguous and often defining family names, many of which were abandoned on Ellis Island like many American immigrants who chose to leave Europe and join the melting pot of Europe. That and of course the immigration officers inability to pronounce or even read certain family names created a plethora of new names in the new World. As to my solid and dependable English policemen, well they would never last in the British police force if they had a silly name, would they? 5. What’s your best advice to new writers on building a new “story” world and how to keep track of it all? I am of an age where dystopian characters are implanted in someone else’s brain, not mine, and there are times when I wish Harry Potter would make himself disappear! But somehow even in the world which he inhabits, there are recognizable types and who one might actually meet down at Wall-mart or Tesco’s! My advice is always to concentrate of characters who you have met and who you understand and that way they will happily follow you through the process of writing, leaving you to concentrate on the plot because by then they will be like a good friend. 6. Do you use any special programs to write or just word? (examples like Writeway, yWriter, Scrievner etc). do you do all of your writing by the computer or are you crazy like me and you write it in a notebook you can drag around and then add it to the computer later? Both. As you describe your wring process it sounds like the very first sentence in a book. 7. Are you a plotter or panster? Do you need complete silence while working or do you like listening to music? Peace and quiet please, and no telephone calls. 8. How many words do you write a day and is there a time that you’ve found is your “best” writing time? If so, is that morning or night? The best time for me is when I am fresh in the morning, but of course many of your readers have jobs and families to look after and do not have the luxury of time. When I am in good sorts, I can write for eight hours a day and about five pages or more. It is a very difficult question to answer, because we all have out quirks and work patterns. 9. How do you deal with rejection and when the muse rejects to help, what do you do about it? Do something else. If the sun is shining, cut the grass or go out for lunch with your agent. 10. Have you ever felt like giving up on writing or stopped to question yourself of why your are writing? I am not an obsessive writer, because I read and spend time watching the world go round. But in truth I write easily, and do not find it hard to start once the detritus has been cleared away. 11. What is on your writing wall? What pics do you have for inspiration? Gas bills mainly and the occasional photograph of a sunny beach or a classic car. 12. What will you be writing next? My main character in murder mystery is Detective Inspector Michael Lambert. 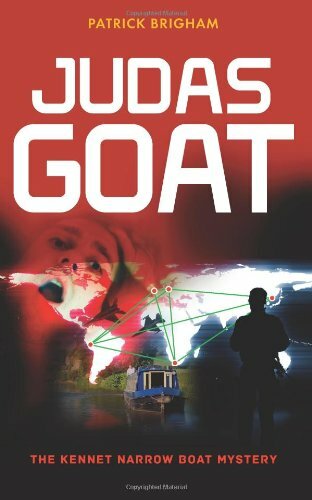 In Judas Goat – The Kennet narrow Boat Mystery, due to a difficult divorce, he moves away from his job at Thames Valley Police Authority and goes on secondment to Europol, which is Europe’s answer to the FBI. In it he goes to Italy to discover the whereabouts of a little English girl who has been abducted although it is clear that she might have been murdered. While he is there he follows up on own family history and that of his rather mysterious father who had been stationed in southern Italy during WW2 in the RAF. Whilst he is there he discovers some rather disquieting facts about his fathers time in the Royal Air Force, and his relationship with an Italian woman. 14. Who is your go to author when you are looking for something to read? 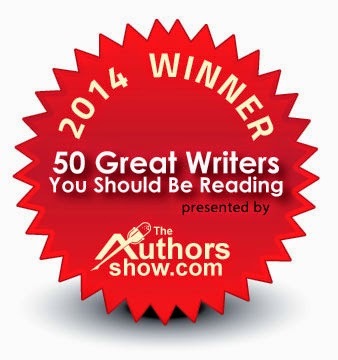 John Le Carre, Graham Green, Robert Ludlum, Colin Dexter, John Mortimer, J.C.Ballard P.D.James et al! 15. What got you into writing and what made you write this book? I am a writer by inclination, I just do. But in the 80′s I joined a writers club in Wimbledon a part of London, and met other writers, some of who were quite well known. They told me that they liked to be amongst other writers which was a very modest statement from a good writer. It just proves that there are two types of writer; one who talks the talk and one who walks the walk. 16. Is there a message in your novel that you want readers to grasp? Stop arms dealing and killing innocent people! 17. If you could describe your book in a 140 character tweet, what would it be? This is a book that starts off with the baffling murder of some anonymous individual on a Narrow-boat near the town of Reading in the UK. Set in a tranquil river setting it starts like any other murder mystery, but then it changes dramatically. In the end the story takes a turn, and we find ourselves reading about an international arms deal that has gone wrong. This is Morse meets James Bond!